When planning a wedding, there are a lot of things that can run through our minds. For most of us, it’s the brides who do a lot of the envisioning, planning, dreaming, and so on before the big day. Whether you are from Maine or not, we at Topside Inn can see why Boothbay Harbor weddings can not only be absolutely stunning but also the start of some great memories. 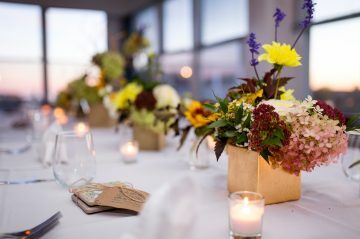 If you aren’t familiar with our area, we at Topside Inn wanted to share with you some great venues for your Boothbay Harbor wedding as well as some other things to do in the area during your free time. There are many places here in Maine that can host a stunning wedding however there are some that stand out that we would like to highlight. The first is The Red Barn at Outlook Farm. If you are looking to say I do in a quintessential Maine venue then The Red Barn should be your top choice. While the building is new it is modeled after the historic barns of Maine that have all captured our hearts. Having a modern venue ensures that your event will have everything you will need to make sure it runs smoothly. Another great location for Boothbay Harbor weddings is The 1812 Farm. They offer space for weddings, receptions, rehearsal dinners, and much more. The staff at The 1812 Farm can help you plan every detail to make sure your day runs just as you expect it to. Next we have Marianmade Farm which has not only a great look to it but this is a working farm too. It grows flowers and some of the best smelling lavender ever. You can choose to get married outside and then have a lovely reception inside at the Lavender Drying House. Let their staff take care of all of your needs! Our next recommendation for Boothbay Harbor weddings is that you can have your wedding at the Coastal Maine Botanical Gardens. They have the capability to have weddings large and small, all whatever you choose. You can get married amongst the gorgeous flowers and enjoy having a stress-free wedding. If you want to have a small wedding with just close friends and family, consider having your event here with us at Topside Inn. We can have everything that you will need to have a wonderful wedding right here on site. Contact us to find out more about our wedding packages. 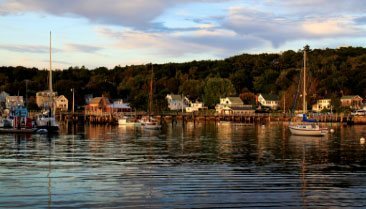 When you plan to have your wedding in Boothbay Harbor, be sure to let everyone know about the other amazing things to do while they are here. One top activity here is hiking. There are so many parks and trails here in Maine to explore. 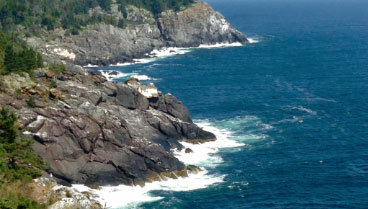 One area that you should consider is the Boothbay Region Land Trust. Download their handy trail map and set out for an adventure. If you want to see the rest of Maine, then we suggest seeing it by boat. There are many cruises you can choose from but one company we suggest is Balmy Days Cruises. They have multiple tours you can choose from, fishing trips, and more. Have a look and see what works for you. Lastly, for those of you who love wine, we invite you to check out the Maine Wine Trail. This trail has been carefully chosen to show the best of what Maine wine has to offer. As you can see, when you choose to have a Boothbay Harbor wedding, you can have a truly memorable event. If you are in the wedding party or a guest coming to Boothbay Harbor for a wedding, consider staying with us at Topside Inn. 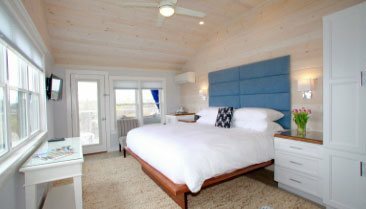 We have 3 guest houses all filled with rooms for you to choose from. 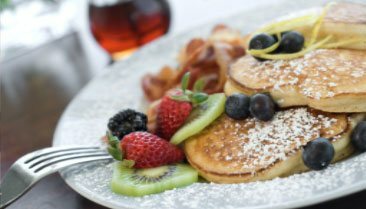 Each morning with us, join other guests for a hearty homemade breakfast that will give you more than enough energy to start your day. We also offer two special intimate wedding and elopement packages, our Topside Wedding Celebration and Coastal Maine Wedding & Honeymoon Package. Contact us today to begin planning your special day here in Boothbay Harbor.